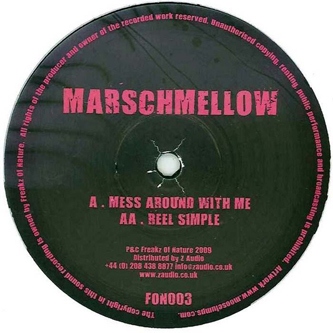 Two squawking dubstep joints from Marschmellow. 'Mess Around With me' zaps a bulbous halfstep riddim with electrified mid-range synthlines, while Reel Simple' on the flip repeats the trick with added reverse kick drum edits and a nastier intent. For rave use only.